The media reported many irregularities, including booth captures and illegal stamping of ballot papers in the recently concluded elections of the three city corporations in Dhaka and Chittagong. 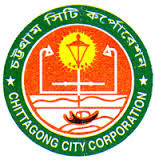 The comparison of the recent results with that of the results of the 2010 Chittagong city corporation elections leaves no doubt about it. In Chittagong, 12 candidates contested for the mayoral post in the recent elections. This included the ruling party candidate AJM Nasiruddin, and the BNP candidate and departing mayor, Manjur Alam. Results show that out of 18,13,600 voters, 8,68,663 cast their votes, of which 8,21,371 were valid and 47,292, were invalid votes. The voter turnout rate was 47.9 percent. Of the total valid votes, AJM Nasir received 4,75,361 (57.87 percent) votes and Monjur Alam received 3,04,837 (37.11 percent) votes. However, of the total 3,629 votes registered at the Halishahar Mehere Afzal High School, which served as a voting centre, Manjur Alam received no votes, although he had 616 votes in the same centre in the 2010 elections. In the 2010 elections, out of the total 16,87,497 voters, 9,21,389 cast their votes, of which 8,85,845 were valid and 35,544 were invalid votes. The voter turnout rate was 54.6 percent. Of the total valid votes, Awami League supported departing Mayor ABM Mohiuddin Chowdhury who received 3,83,760 (43.32 percent) while Monjur Alam received 4, 79,658 (54.15 percent) votes to become the new mayor. In the recent elections, although the overall voter turnout rate in 719 centres was 47.9 percent, in 33 centres, the turnout rate was more than 80 percent. In fact the turnout rate was more than 90 percent in ten centres. In one centre, Agrabad Talebia Government Primary School, the turnout rate was 99 percent, in another centre the rate was 98 percent, and in yet another centre, the rate was 97 percent. By contrast, the turnout rate was less than 20 percent in 20 centres, the lowest being 8.68 percent at the Naval Ideal Government Primary School. Even though the overall turnout rate in 673 centres was about 7 percent higher in the 2010 election, no centre in that election had over 90 percent turnout rate. Casting votes involve seven distinct steps, including establishing the identity of the voter and dropping ballots in the ballot-box. According to former Election Commissioner Brigadier (Rtd.) Shakwat Hossain, casting three ballots in the city corporation elections should have taken a minimum of three minutes, given everything worked perfectly and everyone involved was super efficient. However, voters with little education and no experience in voting would have taken longer. Thanks to media reports, most voters knew the mayoral candidates and could decide whom they would vote for before getting to the polling booths. However, this was not the case for candidates running for ward councillors, particularly those running for reserved seats, thanks to lack of publicity. As a result, the voters had to review the ballot papers for councillors before making their choice, which should have consumed more time. Thus, considering their varied background, education and experience, and lack of information regarding councillor candidates, it would perhaps be safe to estimate that casting three votes in the city corporation elections took roughly five minutes for average voters. Agrabad Talebia Government Primary School centre, which reportedly had the highest turnout rate of 99 percent and total casting of 2,433 votes, had six polling booths. If we accept the three-minute estimate for casting three ballots by a voter, a maximum of 960 votes could be cast in that centre. If the five-minute estimate is accepted, a maximum of 576 votes could be cast there. Thus, such abnormally high 'turnouts' could be possible only with booth capture and illegal stamping of ballot papers. A discernible pattern is visible in the results of this year's Chittagong City Corporation elections. With the rise of overall turnout rate, the voting rate for Manjur Alam continuously declined and the opposite was true in the case of AJM Nasir. For example, in the centre with less than 10 percent turnout rate, Monjur Alam had 54.01 percent votes, in centres with turnout rates between 50 percent and 60 percent, he had 39.8 percent votes, and in centres with above 90 percent turnout rate, he had only 15.01 percent of valid votes. In contrast, in the centre with less than 10 percent turnout rate, AJM Nasir had 36.4 percent votes, in the centres with turnout rates between 50 percent and 60 percent, he had 55.32 percent votes, and in centres with above 90 percent turnout rate, he had 77.07 percent of the valid votes. More specifically, in centres with lower than 43 percent turnout rate, Manjur Alam had 99,772 votes compared to AJM Nasir's 99,385 votes. In the remaining centres, with more than 43 percent turnout rate, AJM Nasir won with a big margin. It is clear that AJM Nasir's win were in those centres with abnormally high 'turnout' rates. Illegal stamping in some centres was so undisciplined that the amount of invalid votes in those centres was unusually high. For instance, in the South Kattoli Pranhori Government Primary School centre, out of 4,322 votes cast, 1,862 were valid and 2,460 were invalid votes. By contrast, no such pattern was visible in the 2010 election results. In that election, in the centre with less than 10 percent turnout rate, Manjur Alam had 62.26 percent, in centres with turnout rates between 50 percent and 60 percent, he had 54.17 percent of the votes and in centres with above 80 percent turnout rate, he had 61.79 percent of all valid votes. In that election, the percentage of votes received by ABM Mohiuddin Chowdhury also did not increase/decrease with increases/decreases in the turnout rate. Thus, there was no accusation of illegal stamping or any other form of rigging in that election and Mr. Chowdury himself accepted the election results. Candidates lodged innumerable complaints of irregularities during this year's city corporation elections. Instead of taking these complaints seriously, the Election Commission hurriedly published the results in its official gazette. More seriously, some commissioners claimed that they had no authority to do anything after the Returning Officers declared the results. Such a claim is baseless, as the Bangladesh Supreme Court, in the case of Noor Hossain versus Nazrul Islam [5BLC(AD)2000], declared that with 'contemporaneous report or allegations about disturbance, rigging of ballot papers or election not being held justly, honestly and fairly,' the Commission had the authority, subject to an inquiry, to even 'cancel elections already held'.